Officials and human rights activists in Moscow are breathing a sigh of relief at a Belarusian court ruling regarding the case of two Russian citizens. 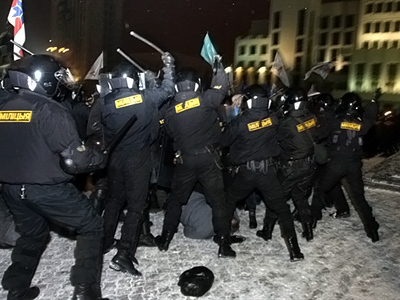 ­Artyom Breus and Ivan Gaponov had been charged with allegedly participating in the mass riots in Minsk following the Belarusian presidential elections last December. They were the last Russian citizens who had been detained by Belarusian law-enforcement agencies. On Thursday, a Minsk court found them guilty of “mass disturbances.” However, it only imposed a fine of around $3,500 on Breus and Gaponov and consequently released them from custody. The Russian Foreign Ministry on Friday welcomed the ruling. The fact that the two Russians are now free “gives us a feeling of satisfaction,” the ministry’s spokesman Aleksandr Lukashevich said. Russian diplomats, including those at the embassy in Minsk, were closely monitoring the trial. From the beginning, Moscow insisted on the release of all its citizens and demanded respect for their rights. During the riots in Minsk last December, police detained about 700 people, including former presidential candidates and 12 Russian citizens. Later many of them were released. But several people are still in custody facing trials. 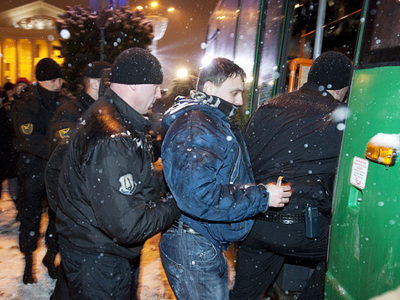 Gaponov and Breus were also released – but only to be arrested again shortly after. Initially, they were accused of organizing mass disorder. But in February, Belarusian authorities softened charges against them, having accused the men of participating in mass riots. Russian human rights activists also welcomed the release of the two men. This story “ended happily for Belarus,” Lyudmila Alekseeva, head of the Moscow Helsinki Group, told Interfax. But she stressed that Breus and Gaponov were nevertheless found guilty and fined. Breus told reporters both men would appeal the court’s ruling. They will be under provisional travel restrictions for a while. According to Breus, the conditions in the detention center were acceptable. Although there were threats to use physical force, none was used. Meanwhile, the European Parliament on Thursday demanded that allegations of torture of prisoners in Belarus be investigated. The parliamentarians adopted a resolution calling on Belarusian authorities to immediately investigate reports of brutality. The parliament reiterated its demand for the release of all opposition activists. EU members had earlier slapped sanctions on 160 Belarusian officials, denying them entry to the EU and freezing their assets in banks. 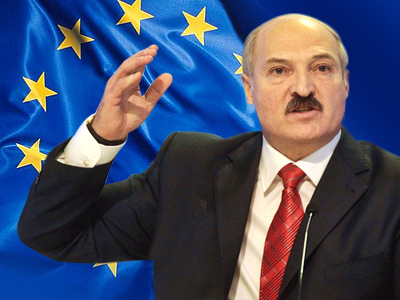 The European Commission has allocated 15.6 million euros through 2013 to support civil society in Belarus. Elucidating on the decision, the commission’s representatives said about 40 opposition and human rights activists are now facing severe sentences in Belarus. 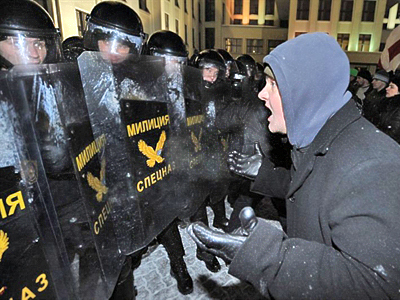 In February, the first participant in the mass protests in Minsk, Vasily Parfenkov was given a four-year jail sentence. The EU and the US have condemned the start of trials in Minsk.